Thunder Bay has always been a city with a HUGE heart! 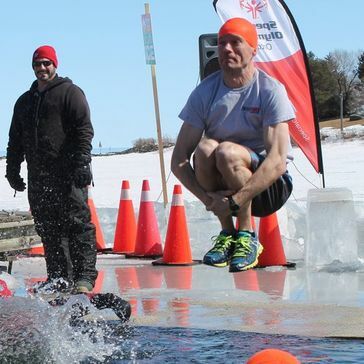 This year, the Thunder Bay Polar Plunge is sharing all funds raised between Thunder Bay Special Olympics, the 2020 Special Olympics Winter Games and Roots to Harvest, plus, CNIB is coming on as an associate partner with teams plunging specifically to support their work! All of these community organizations do important work in our community! ​Gather your friends, your colleagues, your book club, your curling team and come take the plunge! Jumping together is a great way to get the most out of this event (and it's pretty great to have some friends close by to get your courage up!). Registration is $100/team member and once you register you can set up your fundraising page to raise over and above that, all for three great community causes. This division is open to grade 7 and up classes, as well as college and university teams. 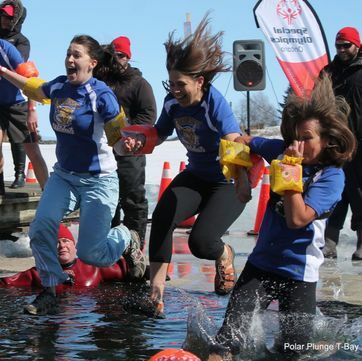 Challenge other schools or classes, raise money to make your principal plunge, and show your school spirit by taking the plunge! There are prizes for the Cool School teams who come with the most gusto. Registration for Cool School teams is $75/person but, same as the other teams, you can set up your fundraising page and take pledges to raise more money to support the community causes! Not everyone needs someone's hand to hold! 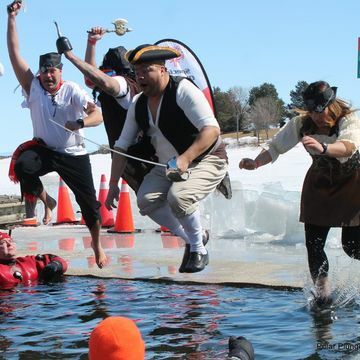 Bring your friends and family to cheer you on and take the plunge on your own! Challenge your neighbour, challenge your boss, challenge your partner! Individual registration costs $100 and this can be fundraised by starting your fundraising page after you register online.